Many teachers around the country have become well-versed in using technology in their classrooms. They have taken risks and offered their students terrific opportunities to be creative using all sorts of devices, programs, and apps. Others have not yet taken the leap, but this may be the year! Designing digital posters, conducting video conferences, and creating mini-movies and podcasts are all projects that students often find challenging and inspiring. At the same time, in the world outside our classrooms, many teachers are feeling the stress of the current times. Each day seems to bring bad news, whether natural disasters, political conflicts and the like. We all could use something positive to work toward, to take steps to better the world and teach our students that they can take action now, while they’re young. Many school mission statements these days involve the term “global citizens.” Let’s take action and make this a reality. A clear path toward improving the world and teaching students about the potential of humanity is to incorporate the United Nations Sustainable Development Goals into what’s already happening in classrooms. In 2015, world leaders came together to devise a group of 17 goals to be achieved by the year 2030. Goals such as Climate Action, Gender Equality and Life Below Water are only a few. Each goal has specific targets and action steps that will bring us all closer to a better world. There are 193 member states in the United Nations. The Sustainable Development Goals are the glue which binds us all. 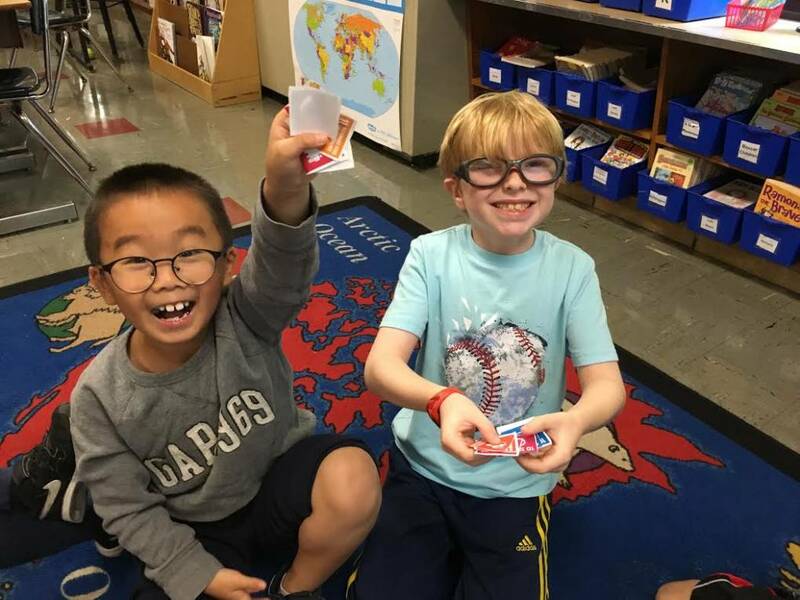 Incorporating the goals is an innovative and purposeful way to connect classrooms around the world. Here’s one of the WLL videos introduced b Nobel Peace Prize winner, Malala Yousafzai. And here’s another one of the WLL videos, this one introduced by actress Emma Watson. In the early elementary school years, students may create digital posters, each focused on a goal in which they’re most interested. Buncee is an easy-to-use platform for students to use for designing posters. As teachers know, students become more engaged when they know there is a real audience for their work. After creating the posters, students can share them with students in other locations around the world. Remember, the goals are international, and what a way to create a bond from nation to nation! 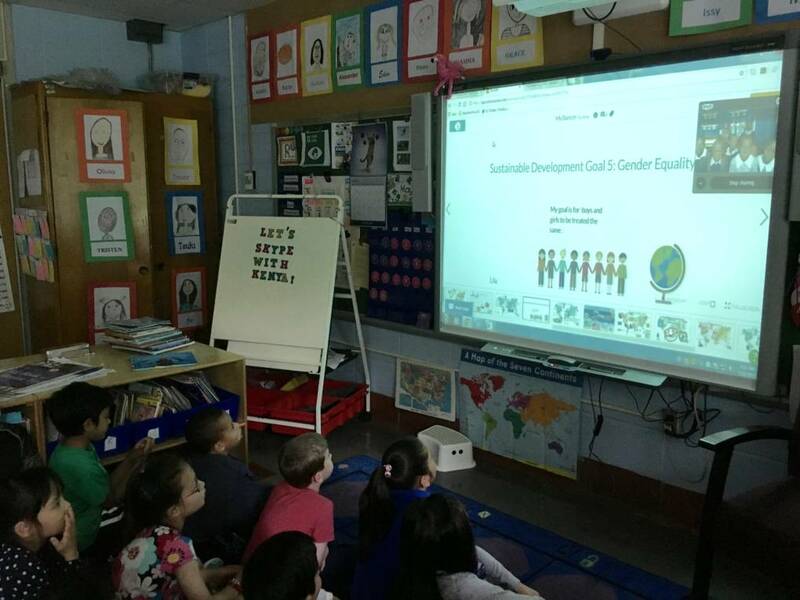 My New York students created posters and then presented them to a group of children in Kenya via Skype. 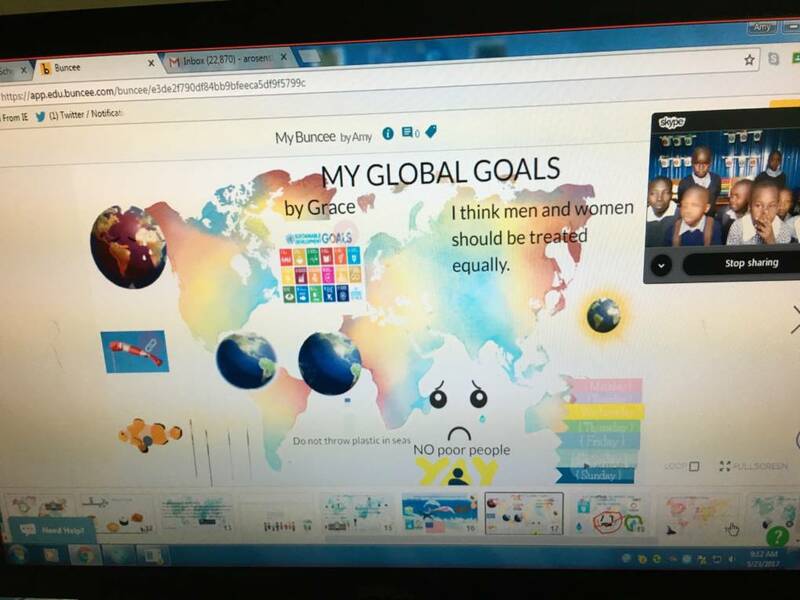 We also shared them with students in Kansas, who were so motivated as we taught them about the global goals, that they, in turn, created their own. In order to find other classrooms working on the goals, connections are available through Skype in the Classroom on the Microsoft Educator Community site. 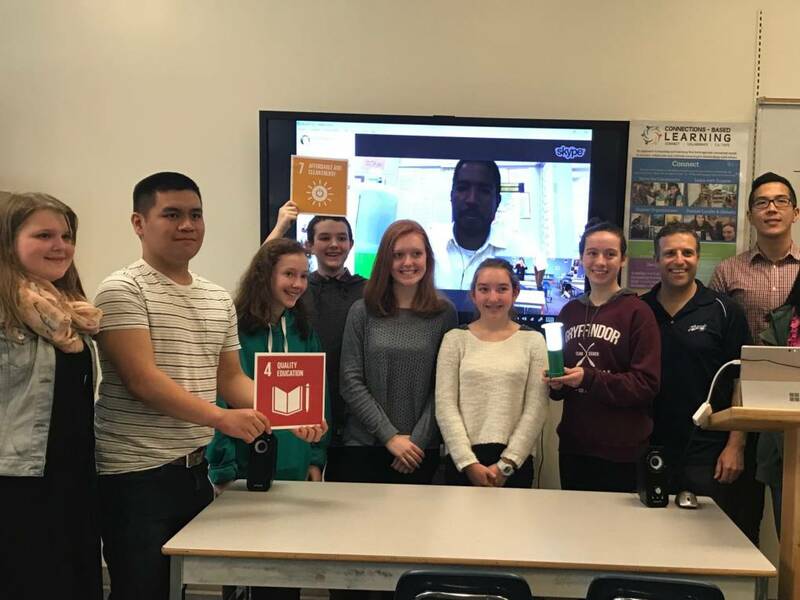 The #TeachSDGs Skype Collaboration allows participants to find other classrooms working on similar goals. 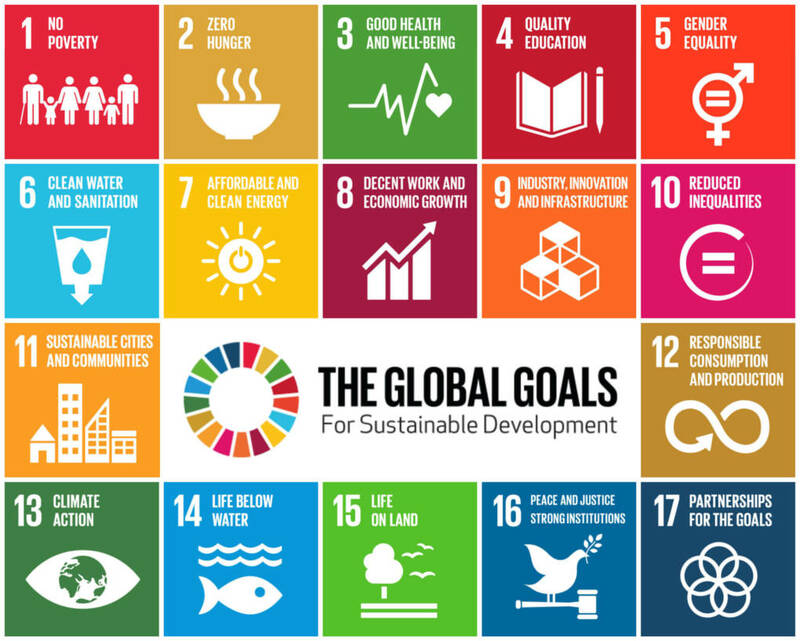 The site also offers a collection, all focused on the global goals. On a deeper level, classrooms may also connect to design and develop projects, from country to country, all tied to the goals. Recently, Canadian teacher, Sean Robinson, connected with Fred Sagwe’s class in Kenya, and Georgina Dimova’s class in Macedonia. All worked together on Global Goal 4: Quality Education and Global Goal 7: Affordable and Clean Energy, with their focus on solar lanterns. Similarly, Koen Timmers in Belgium, has created the Climate Action project. Global Goal 13: Climate Action is the focus of this worldwide project in which 250 schools in over 69 countries are participating. The culminating activity, after weeks of work on their projects, is students connecting via Skype with each other, again, providing real, authentic audiences. 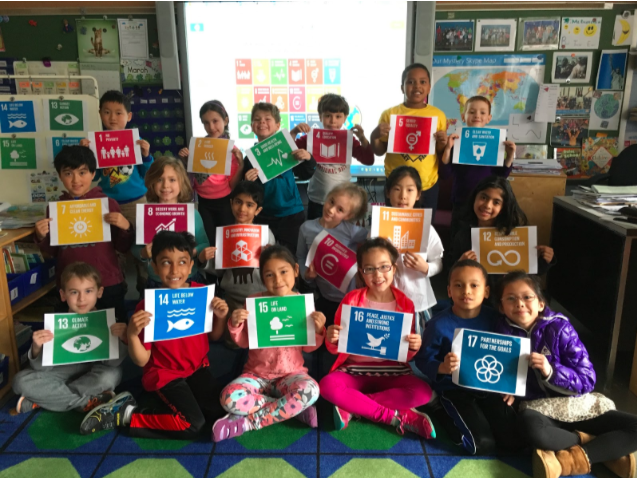 Click here to hear teachers, in their own words, describing how they’re using the Global Goals for Sustainable Development with their students. This Flipgrid collection is introduced by author, speaker, and international advisor, Sir Ken Robinson. Teachers can use their ingenuity to develop lessons as basic or as complex as they’d like. 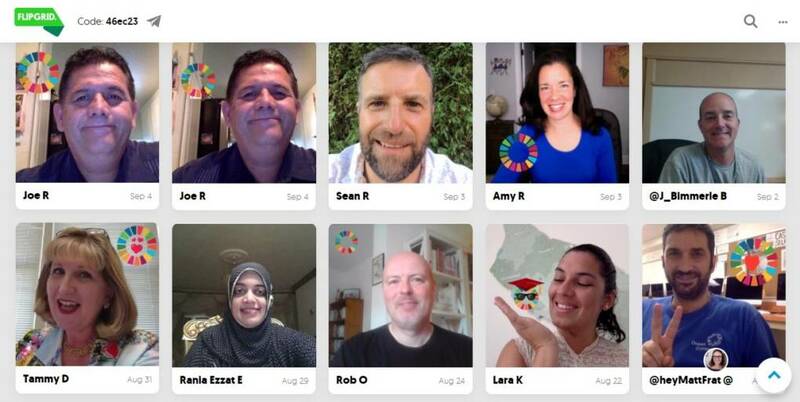 TeachSDGs.org offers teachers a first step. On this site (full disclosure: I’m a founding member), they can take the pledge to teach the goals. The blogs are written by teachers, in their own voices, and offer ideas on what’s been done so far and what has yet to be accomplished. To learn more about the global goals, as well as the United Nations, take this comprehensive one-hour online course. Here’s to changing the world, one student, one teacher, one class, one nation, one goal at a time. Very informative post. 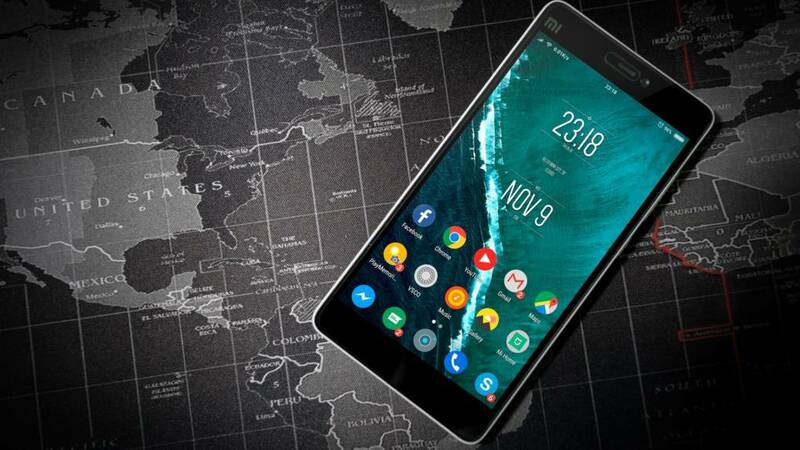 It’s engaging to read pieces that talk about how technology can enhance creativity, knowledge and oneness all over the globe. The children of today, also known as the digital natives are the hope of the future. It is quite encouraging that they are being molded into adept technology users and responsible citizens. 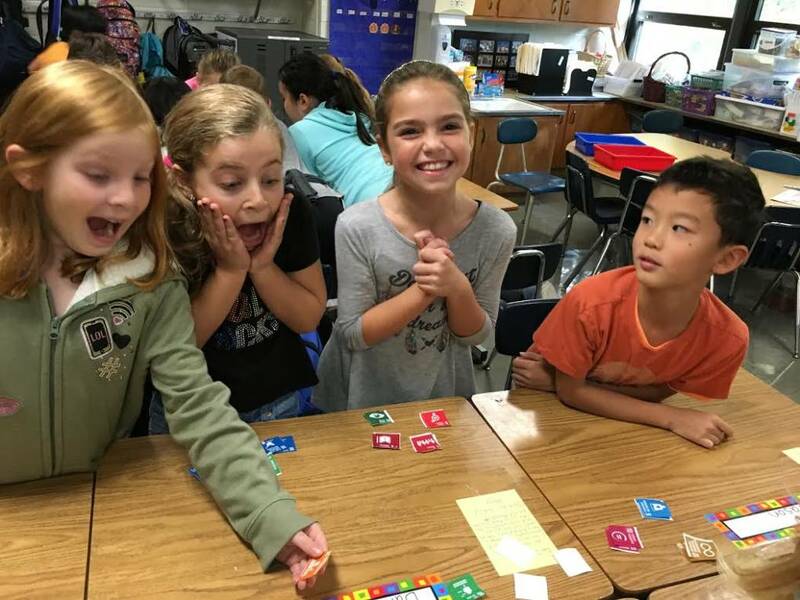 Skype Master Teacher, Microsoft Innovative Educator Expert and PBS Digital Innovator, Amy Rosenstein teaches elementary school in Westchester County, N.Y. where she shares her enthusiasm for technology with her students. She holds a Bachelor’s Degree in Economics from Cornell University as well as a Master’s in Elementary Education. 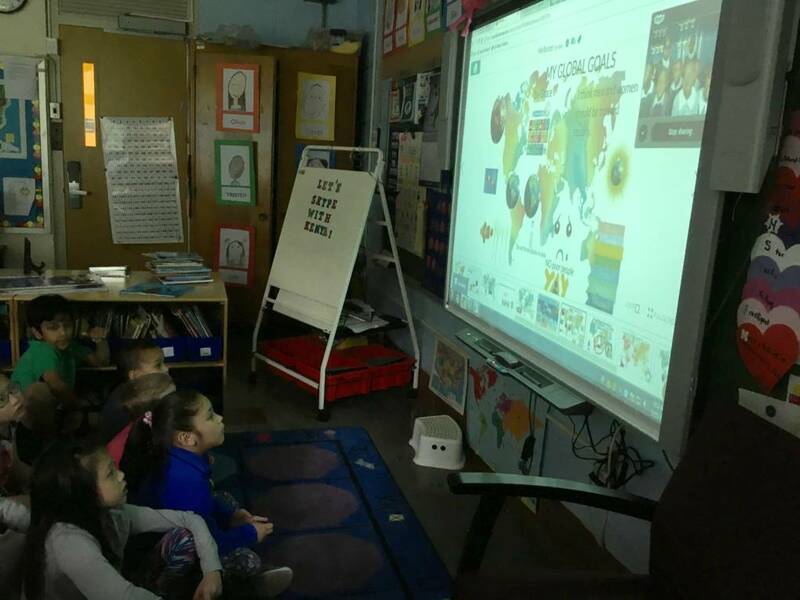 Traveling the world via Skype with her students to places like Hong Kong, India, and Kenya, she incorporates digital storytelling, blogging, self-publishing and other web tools into her classroom. Co-founder of TeachSDGs.org and recipient of the 2013 Pioneer Award, she is the author of the Scholastic eBook titled 10 Fresh Ways to Incorporate Technology into the Classroom. Prev WATCH: A High School Activist from Richmond, on Stepping Up for Her Community Next Were the Pilgrims America’s Original Refugees?